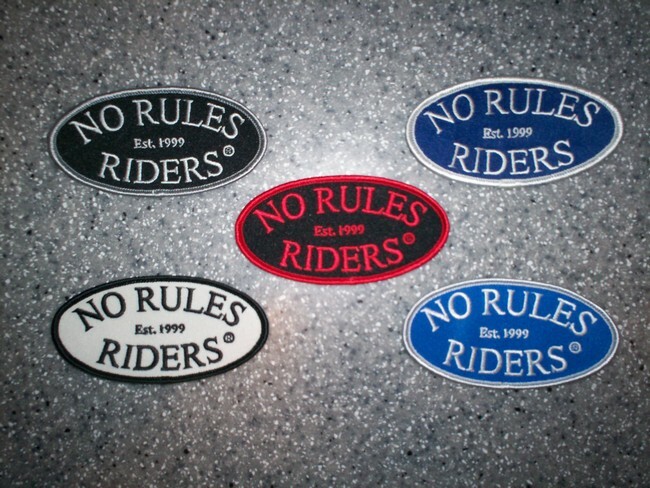 No Rules Riders was established in 1999. 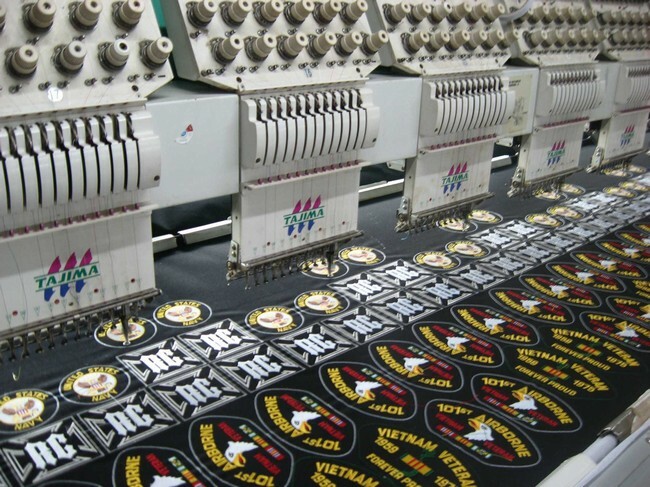 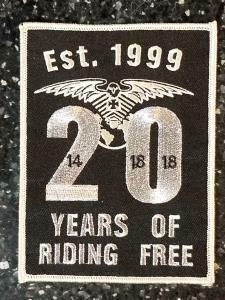 This patch commemorates 20 years for riding free. 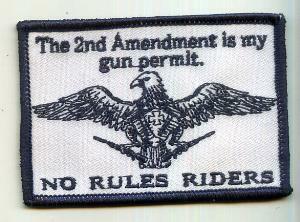 This is how No Rules Riders says Don't Tread On Me. 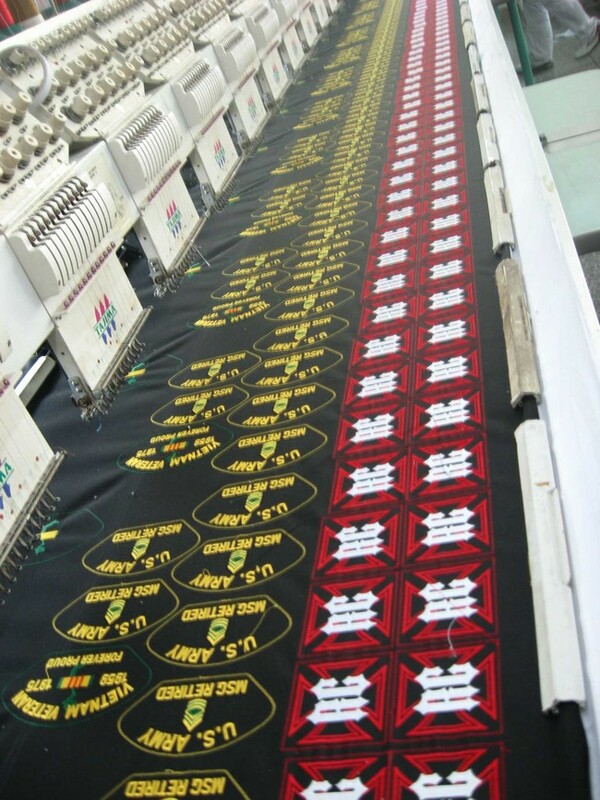 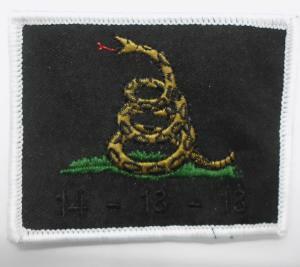 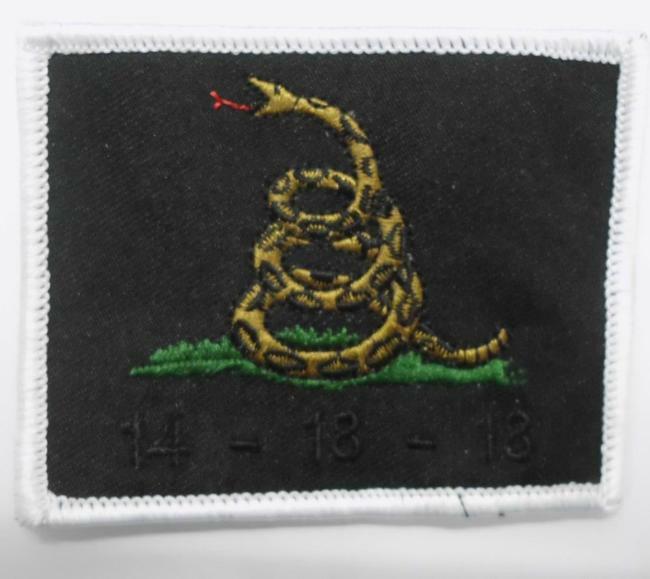 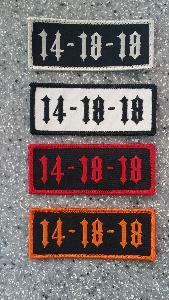 Notice the 14 - 18 - 18 in black stitching at the bottom of the patch. 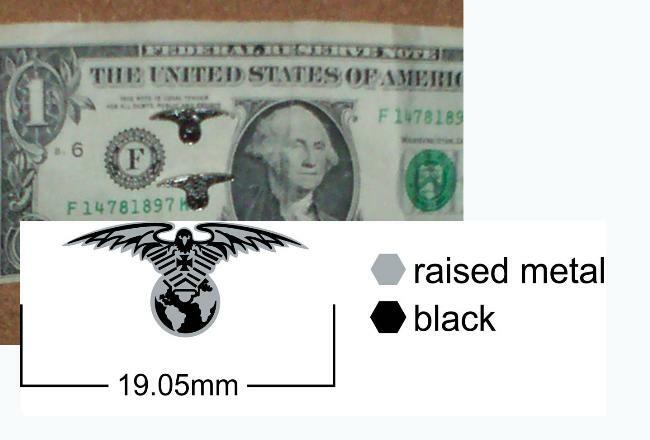 Size = 3 x 2 1/2 inches. Many hours went into this design. 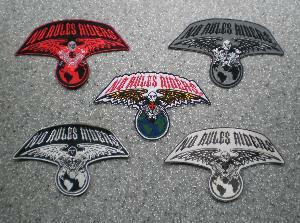 I wanted a different design with NRR eagle. 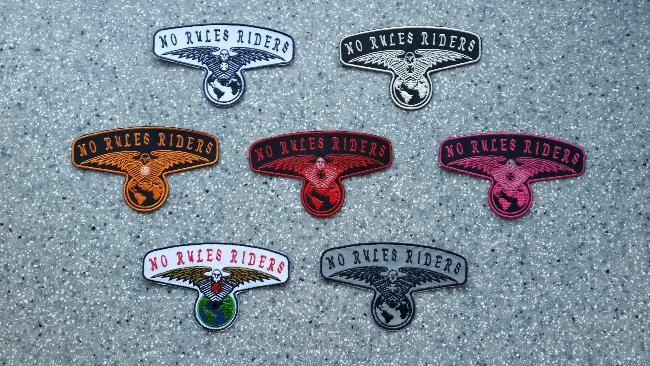 I decided to have the NRR eagle holding a banner that says NO RULES RIDERS would be good. 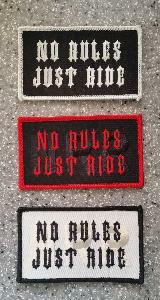 If I make a bigger one the banner will also say "Ride Free"
Black & Chrome is the top one, Antique White & Black is the bottom one. 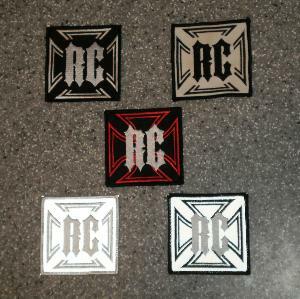 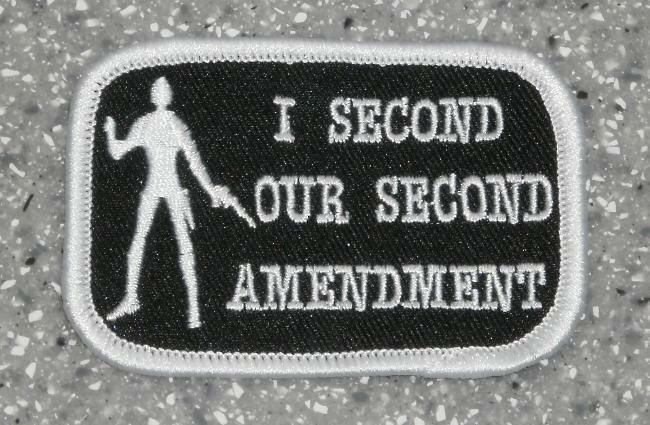 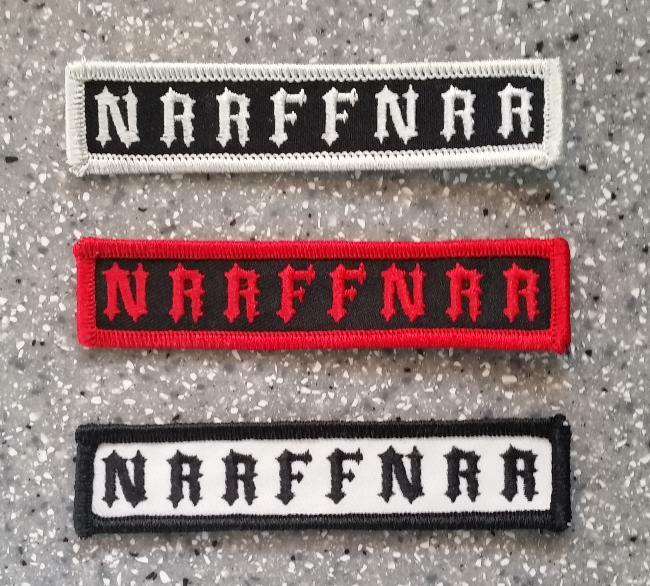 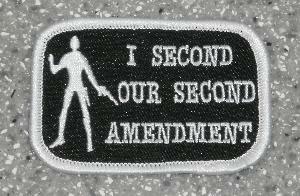 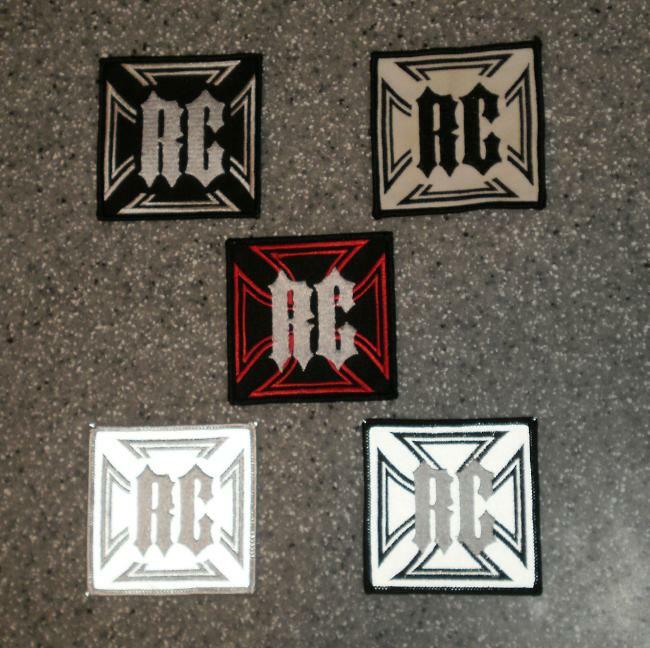 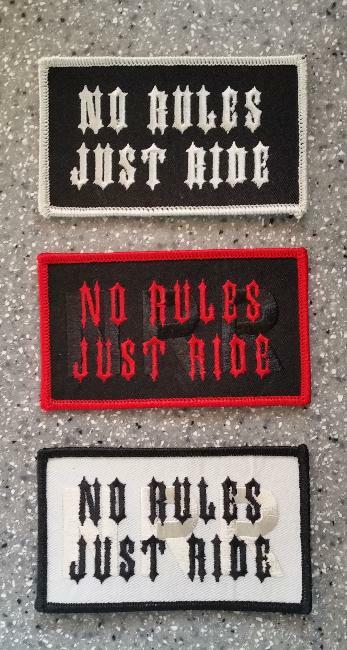 O.K., the bottom two patches are sold out. 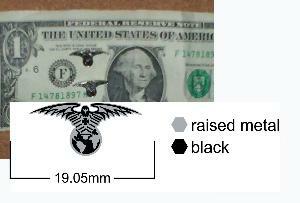 No picture of the antique white and black old style. 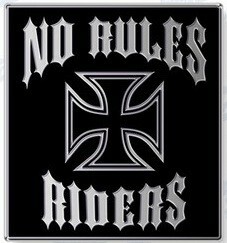 This is the first small No Rules Riders patch. 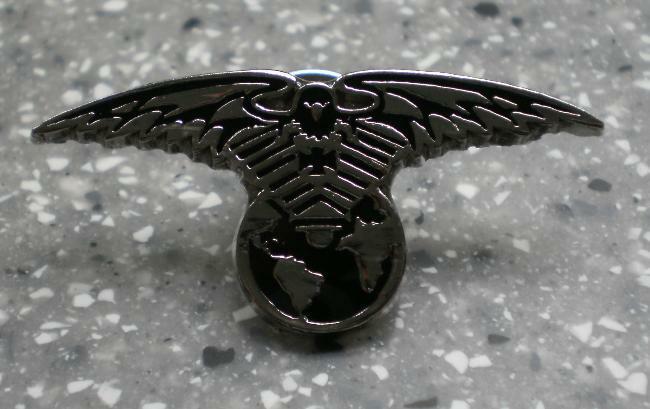 Black and Chrome with an expoy coating. 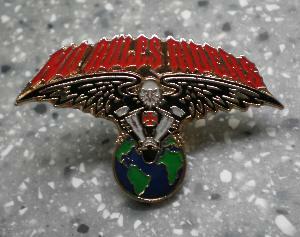 One butterfly clutch pin on back. 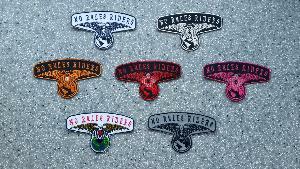 The small pins are good for collar pins to keep your collar from slapping you in the face while riding. Also good for tie pins. 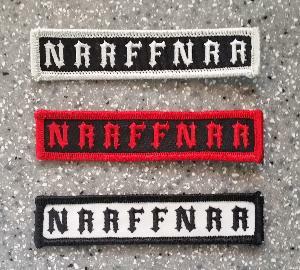 Can also be used as an ear ring. There are TWO different sizes of this patch. 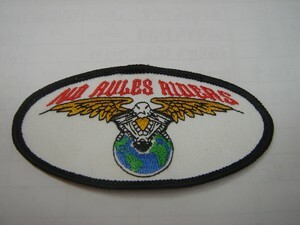 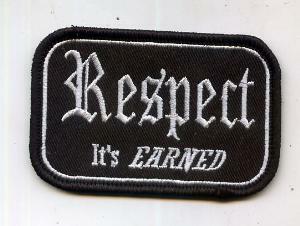 This patch is for the people out there that understand the motorcycle world and who know what RESPECT means. 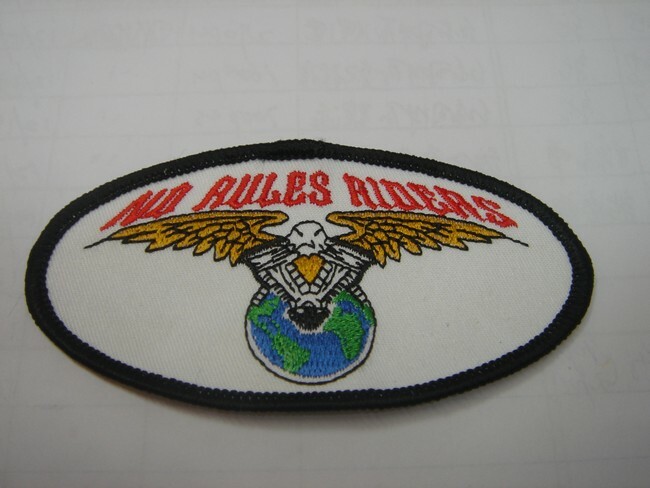 It is a good idea to have a R/C patch sewn on the bottom right side of your vest to let people know that you are a Riding Club and not a Motorcycle Club. 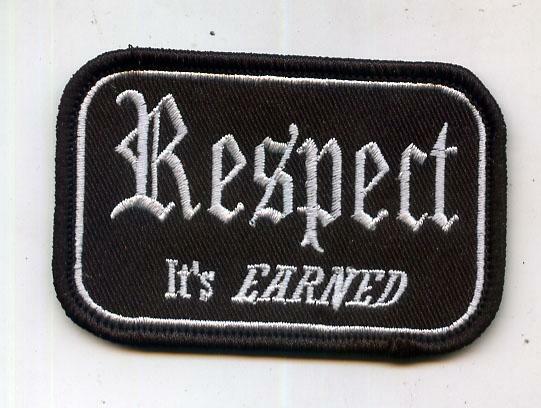 I saw a few different images with this saying and image on the Interent and liked it. 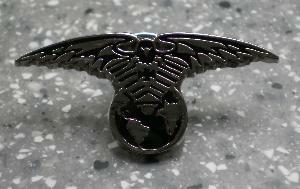 But it needed the NRR touch, so I drew in a V-twin on the chest of the eagle and my wife re-drew the head of the eagle. 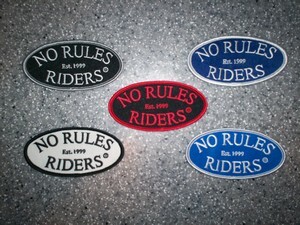 Then I added NO RULES RIDERS to the bottom. U.S. ARMY MSG RETIRED patch and the VETNAM VETERAN patch. 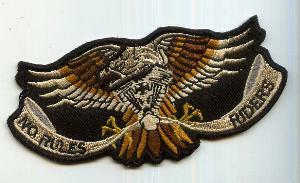 UNITED STATES NAYY and 101st AIRBORNE patch.